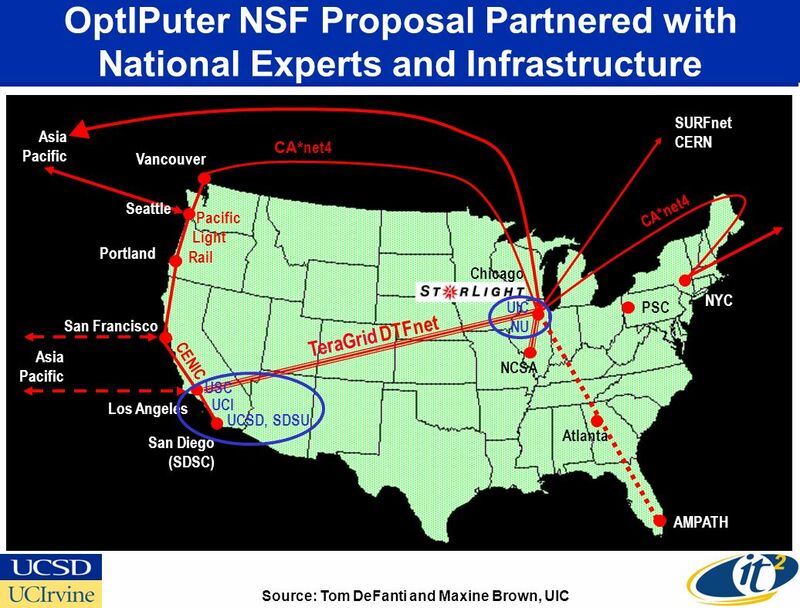 Year End Report on the NSF OptIPuter ITR Project NSF ANIR Division Arlington, VA December 12, 2002 Dr. Larry Smarr Director, California Institute for Telecommunications. 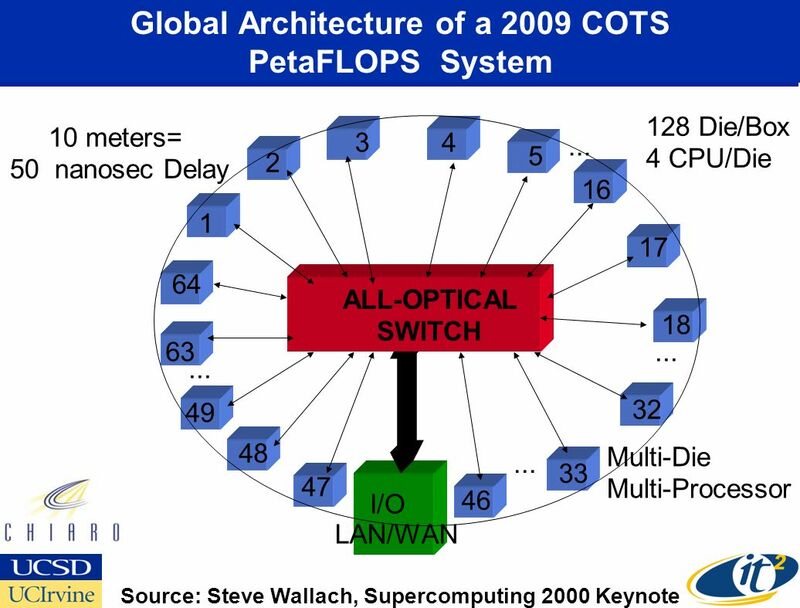 15 The OptIPuter Philosophy A global economy designed to waste transistors, power, and silicon area -and conserve bandwidth above all- is breaking apart and reorganizing itself to waste bandwidth and conserve power, silicon area, and transistors." 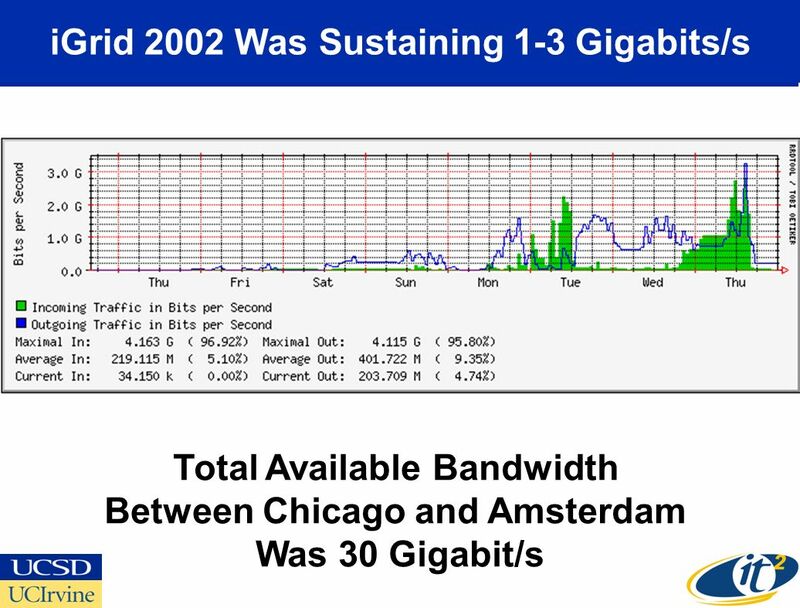 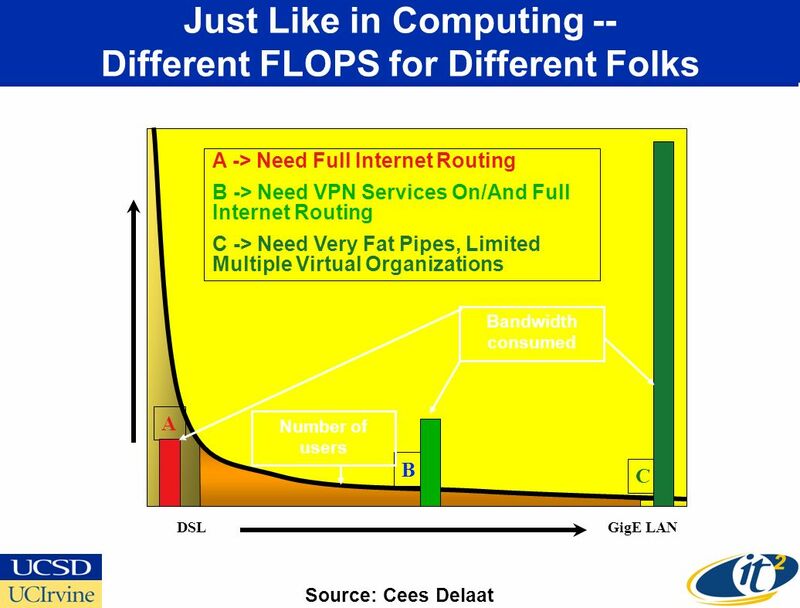 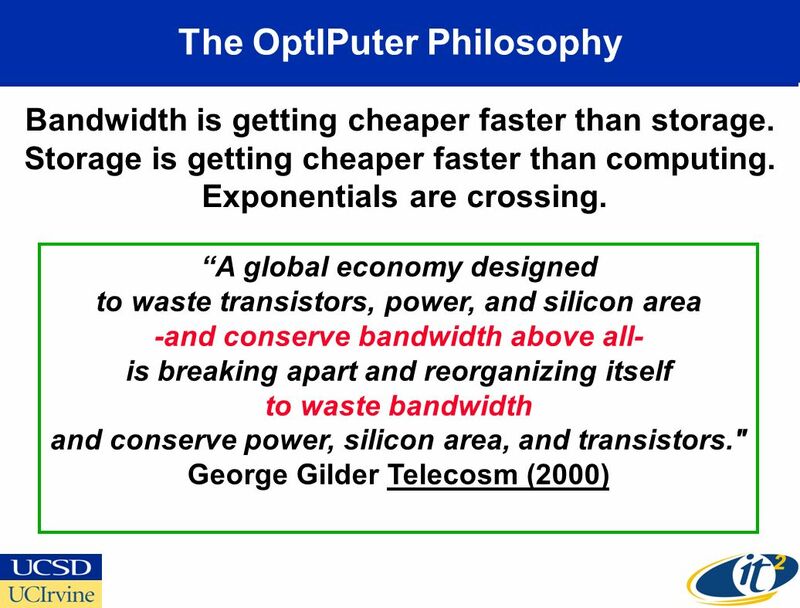 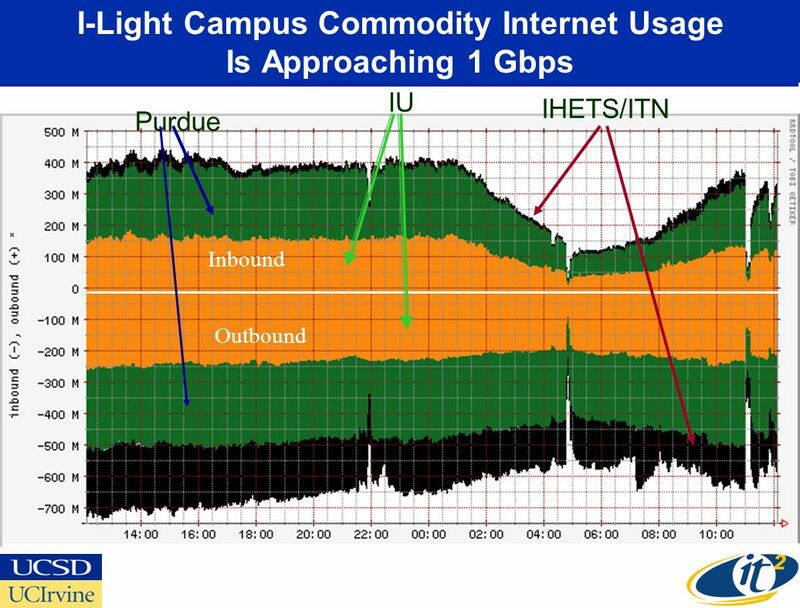 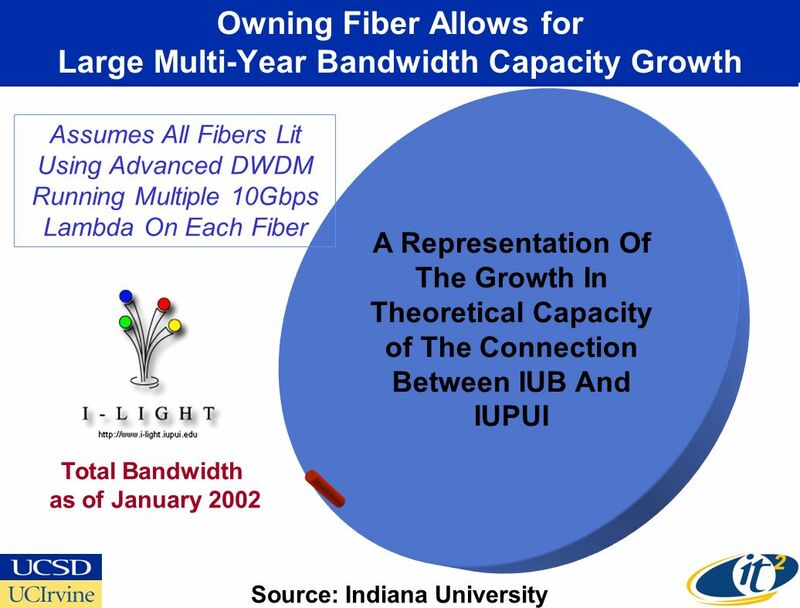 George Gilder Telecosm (2000) Bandwidth is getting cheaper faster than storage. 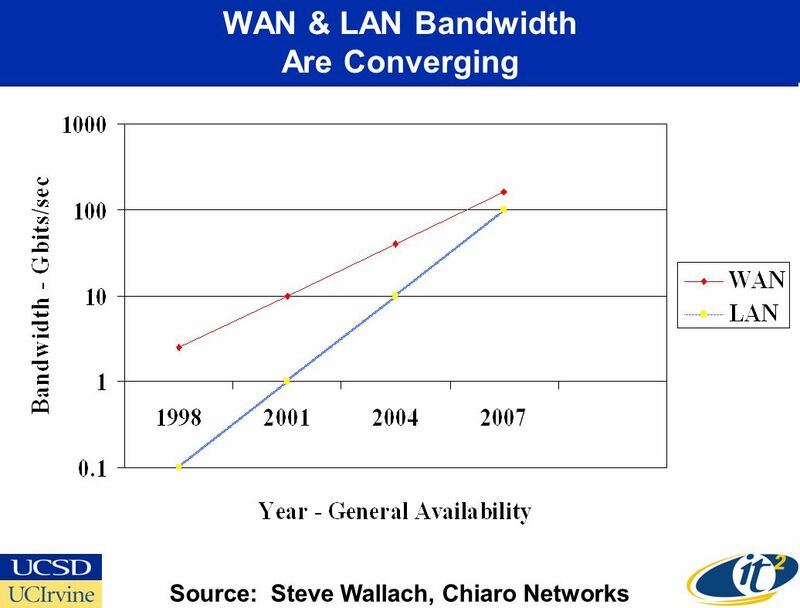 Storage is getting cheaper faster than computing. 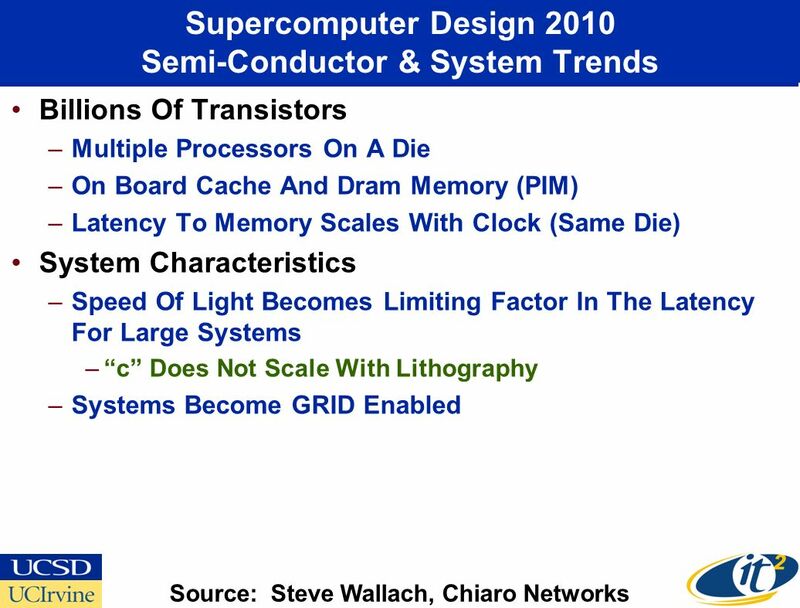 Exponentials are crossing. 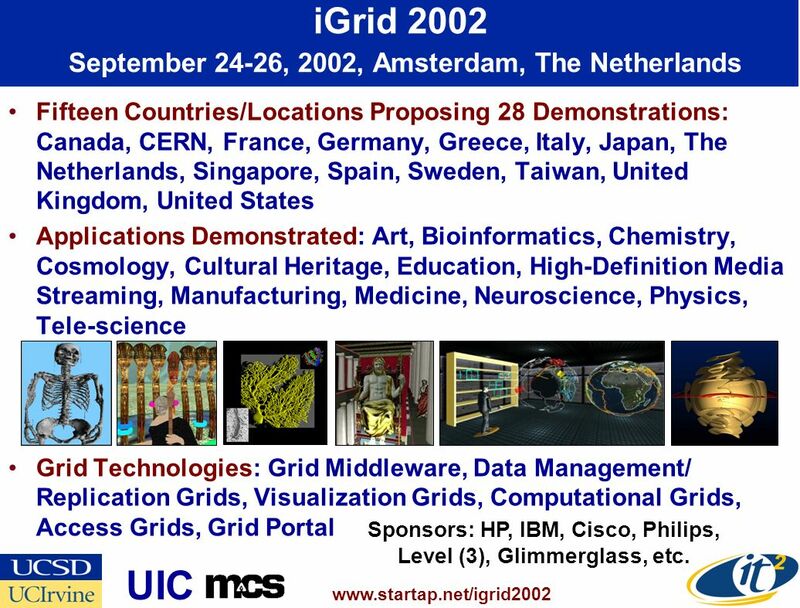 41 Fifteen Countries/Locations Proposing 28 Demonstrations: Canada, CERN, France, Germany, Greece, Italy, Japan, The Netherlands, Singapore, Spain, Sweden, Taiwan, United Kingdom, United States Applications Demonstrated: Art, Bioinformatics, Chemistry, Cosmology, Cultural Heritage, Education, High-Definition Media Streaming, Manufacturing, Medicine, Neuroscience, Physics, Tele-science Grid Technologies: Grid Middleware, Data Management/ Replication Grids, Visualization Grids, Computational Grids, Access Grids, Grid Portal iGrid 2002 September 24-26, 2002, Amsterdam, The Netherlands www.startap.net/igrid2002 UIC Sponsors: HP, IBM, Cisco, Philips, Level (3), Glimmerglass, etc. 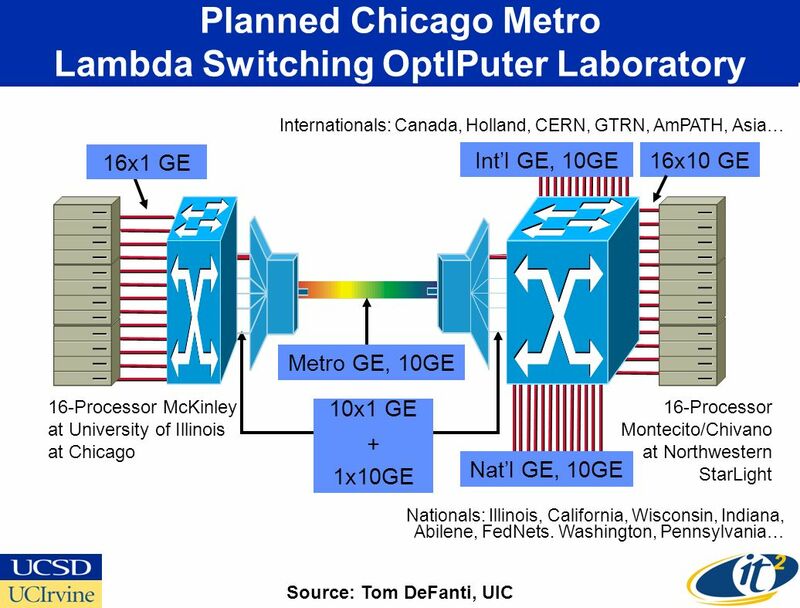 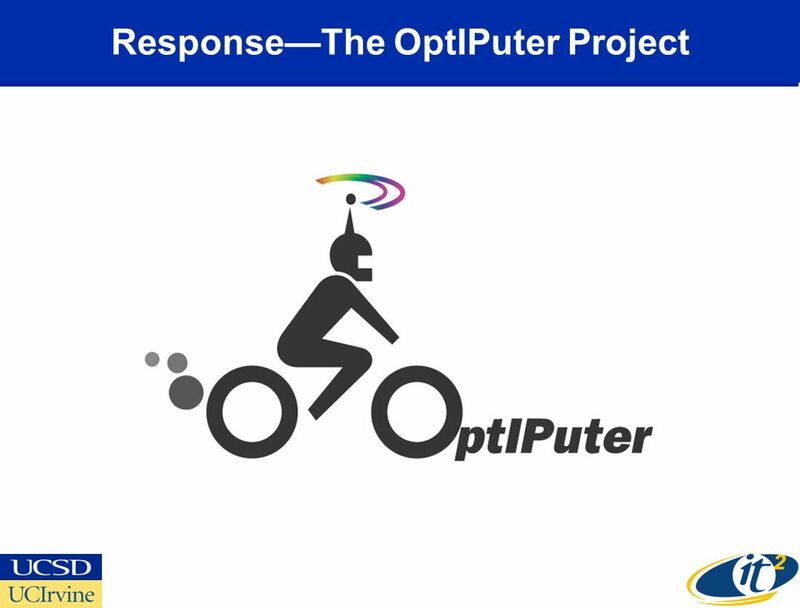 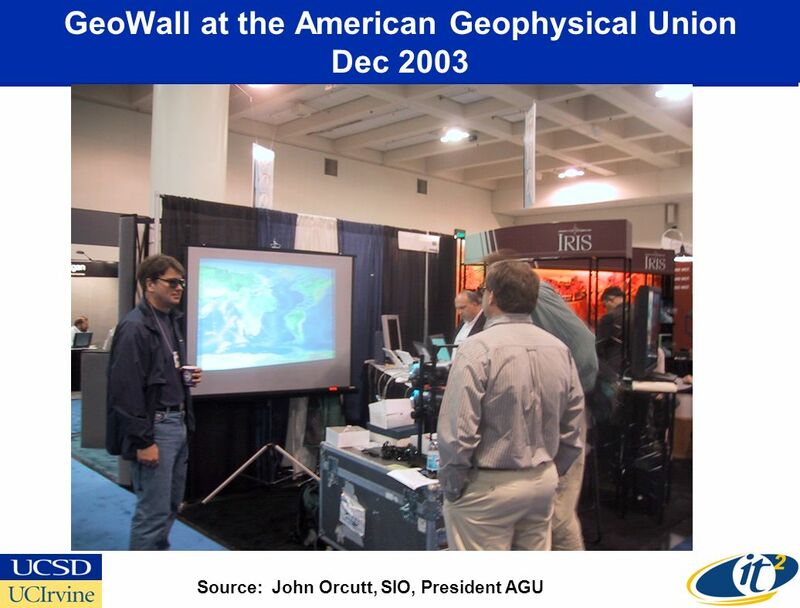 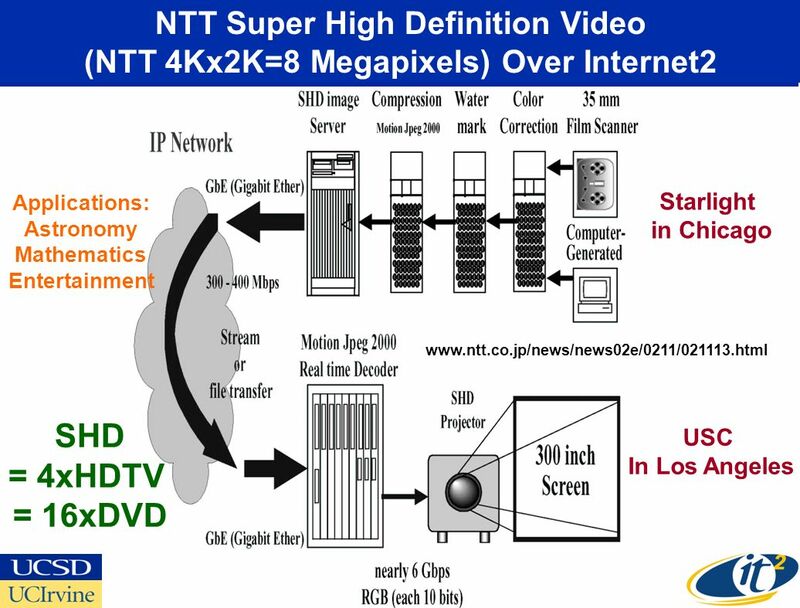 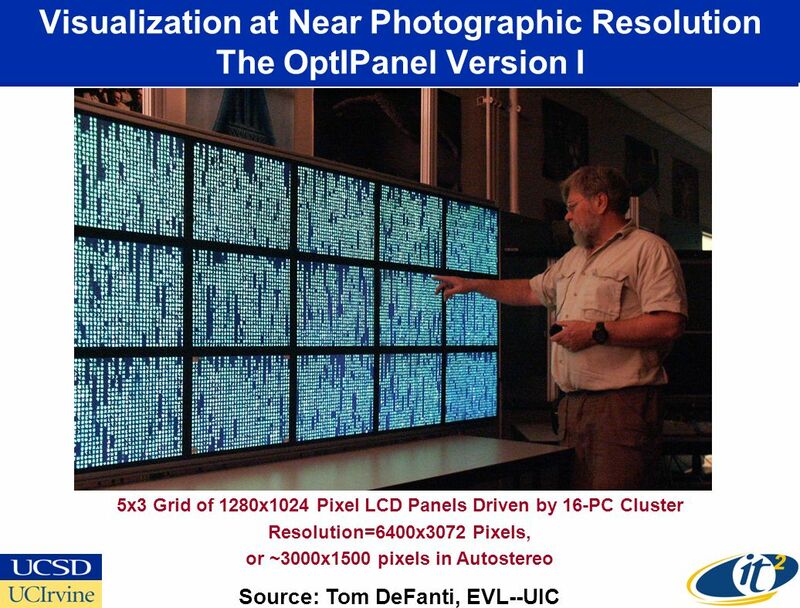 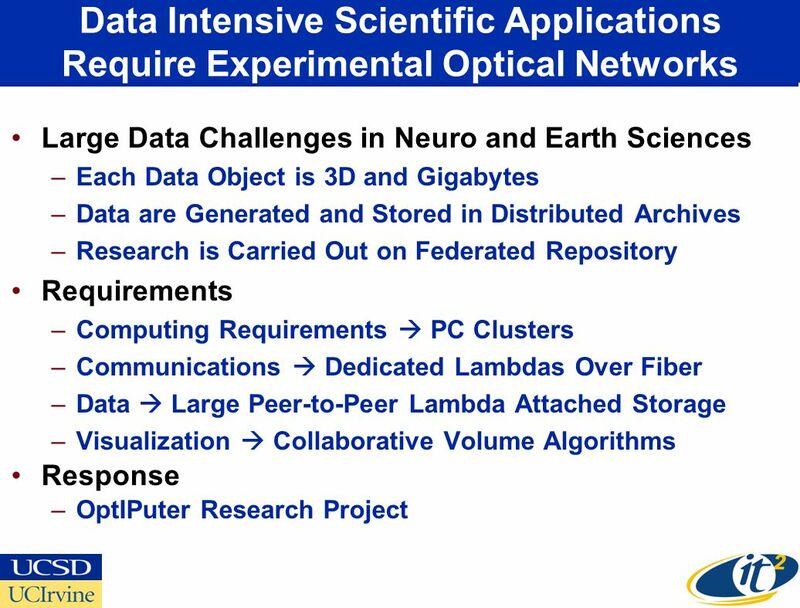 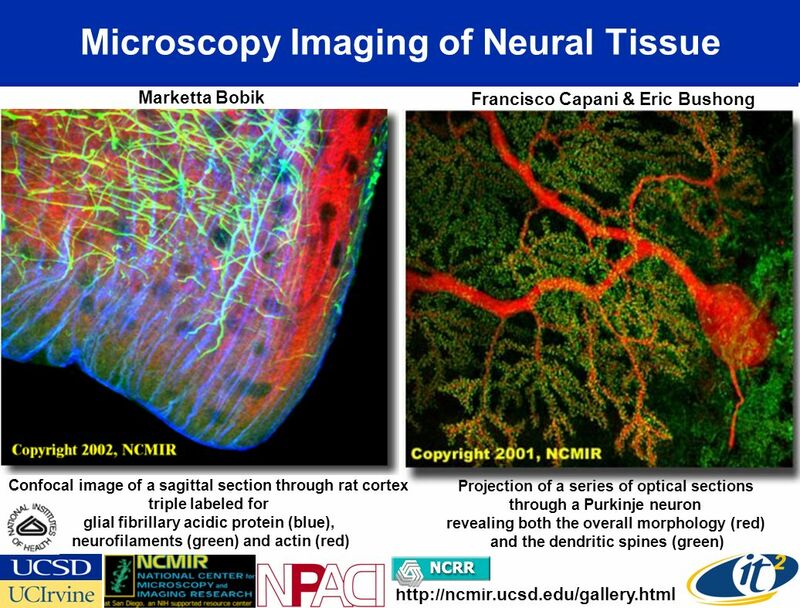 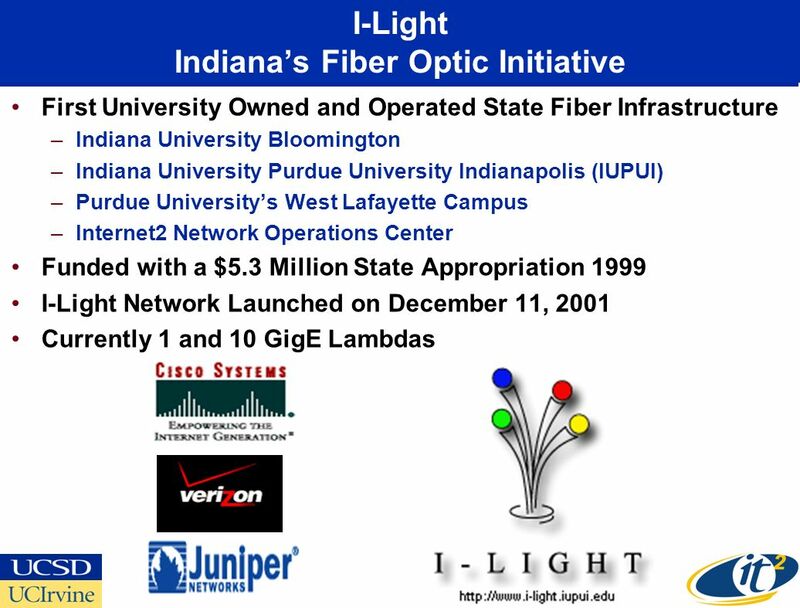 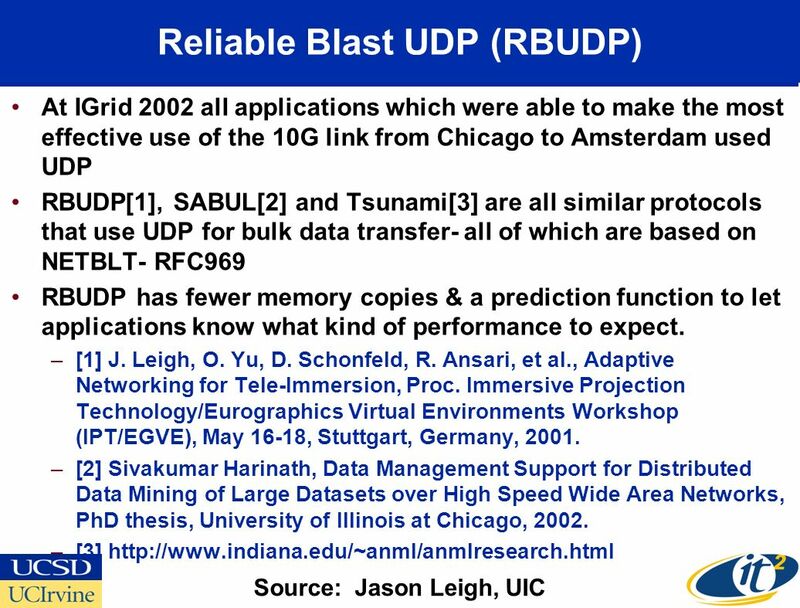 Download ppt "Year End Report on the NSF OptIPuter ITR Project NSF ANIR Division Arlington, VA December 12, 2002 Dr. Larry Smarr Director, California Institute for Telecommunications." 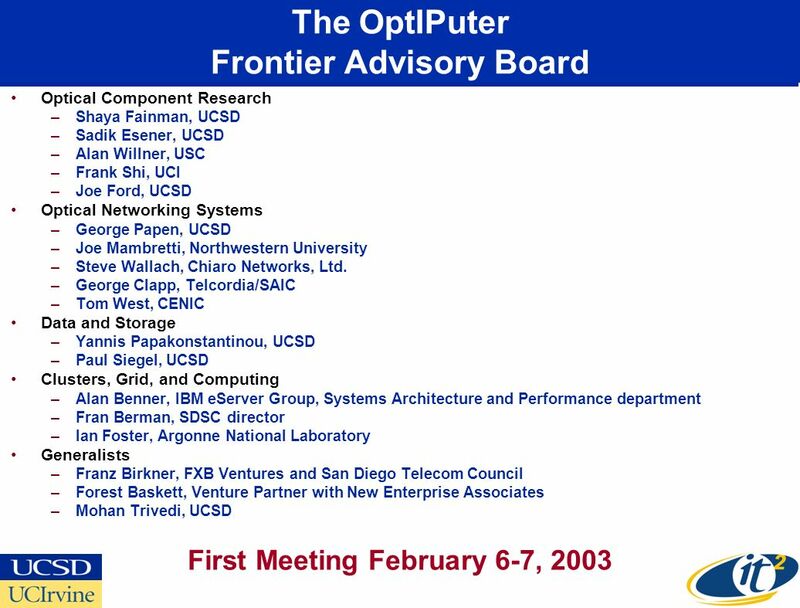 NORDUnet 25 years Hans Wallberg SUNET University of Umeå The Future of NORDUnet. 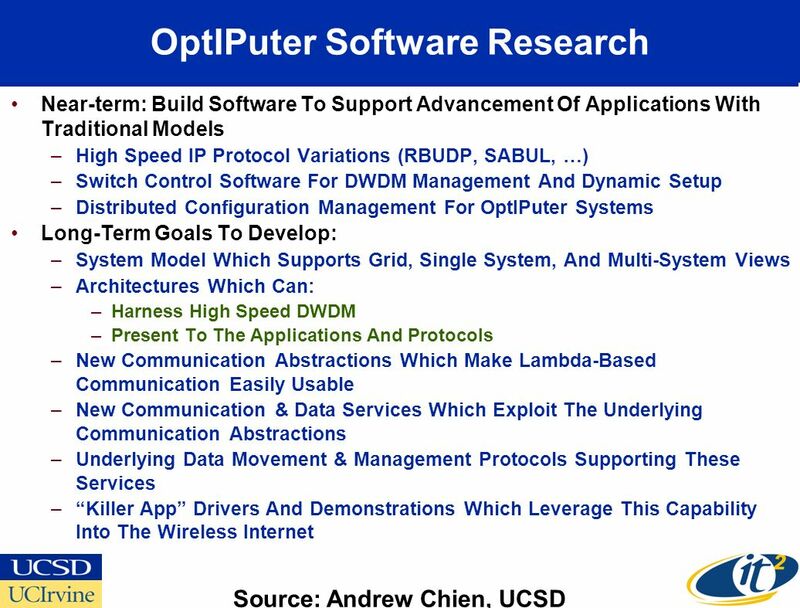 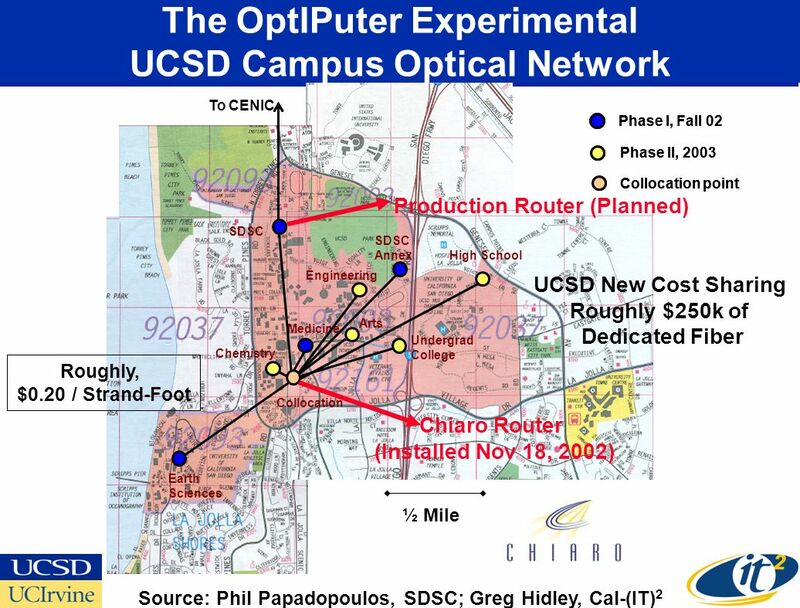 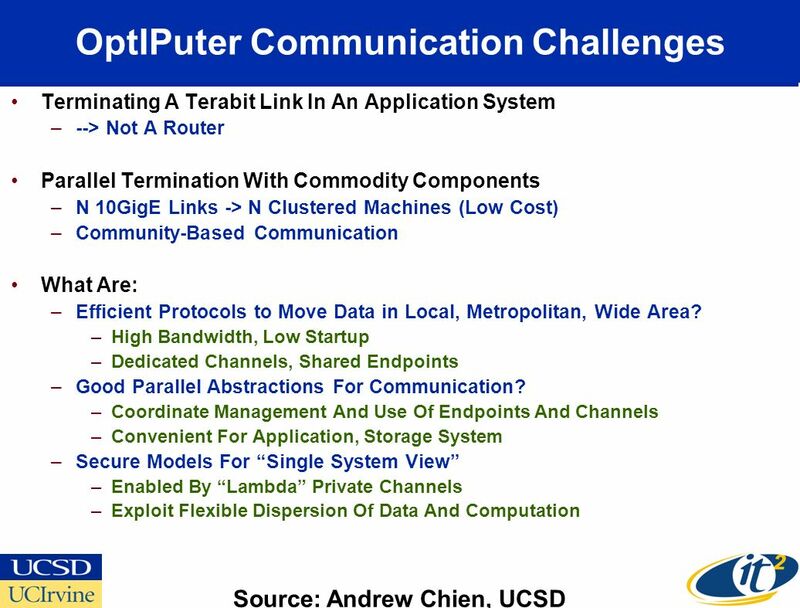 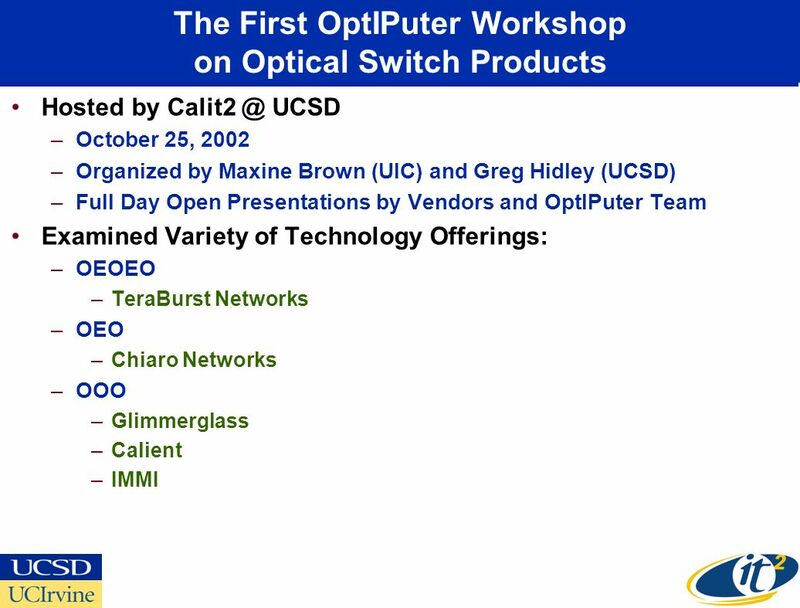 The OptIPuter – Toward a Terabit LAN Talk at The ON*VECTOR Terabit LAN Workshop Hosted by Calit2 University of California, San Diego January 29, 2005 Dr.
Cal-(IT) 2 and Homeland Security Jacobs School of Engineering Council of Advisors San Diego Yacht Club San Diego, CA November 22, 2002 Dr. Larry Smarr. 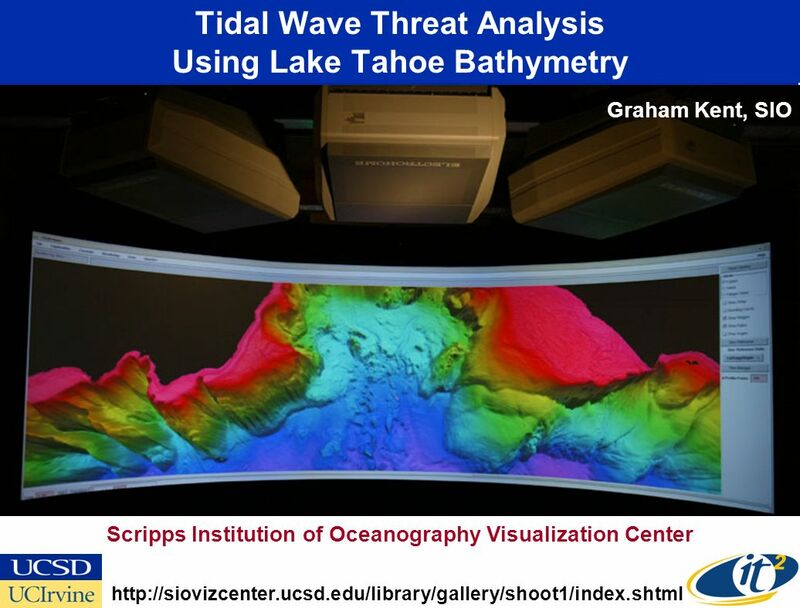 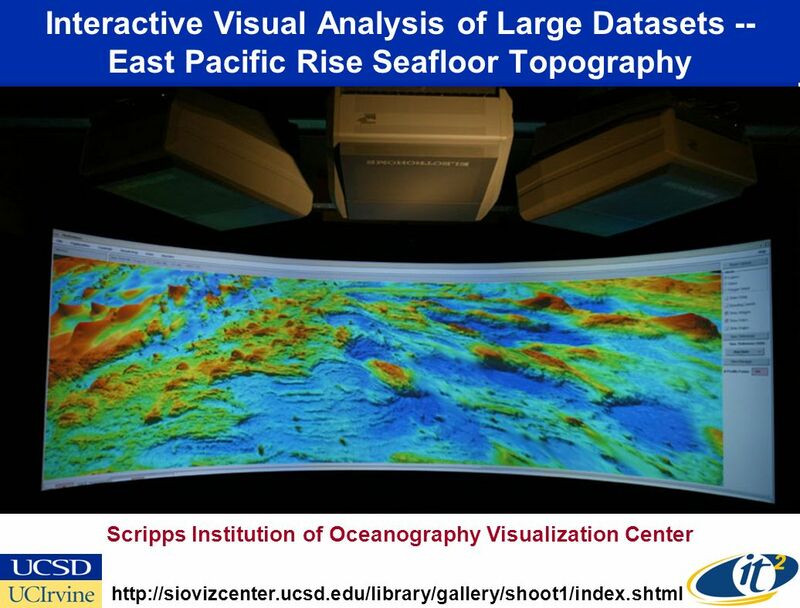 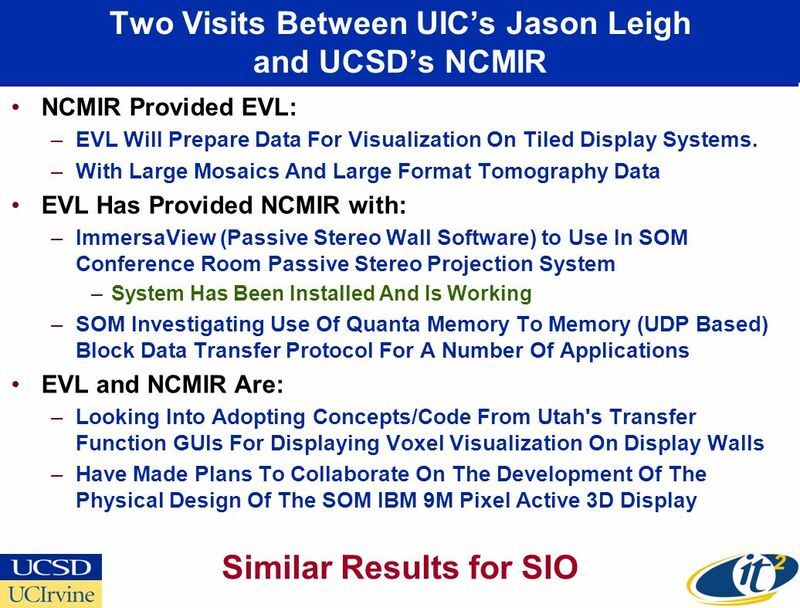 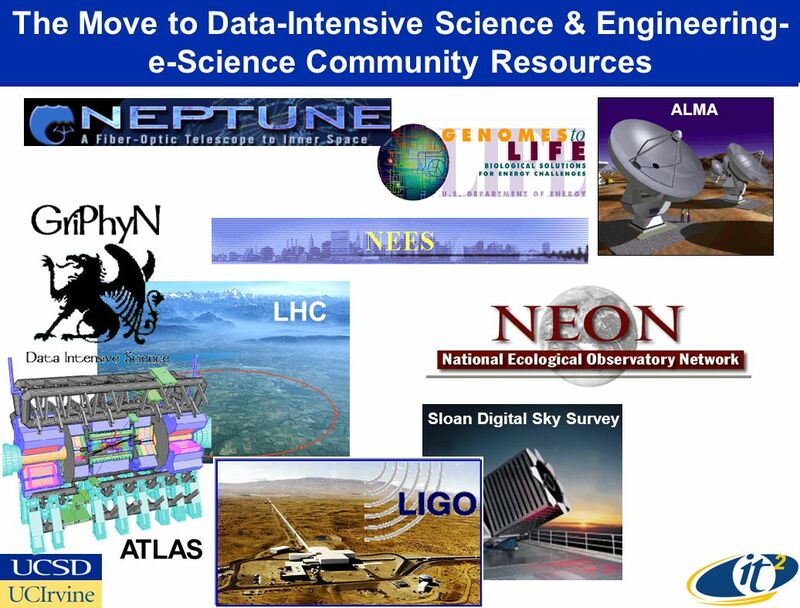 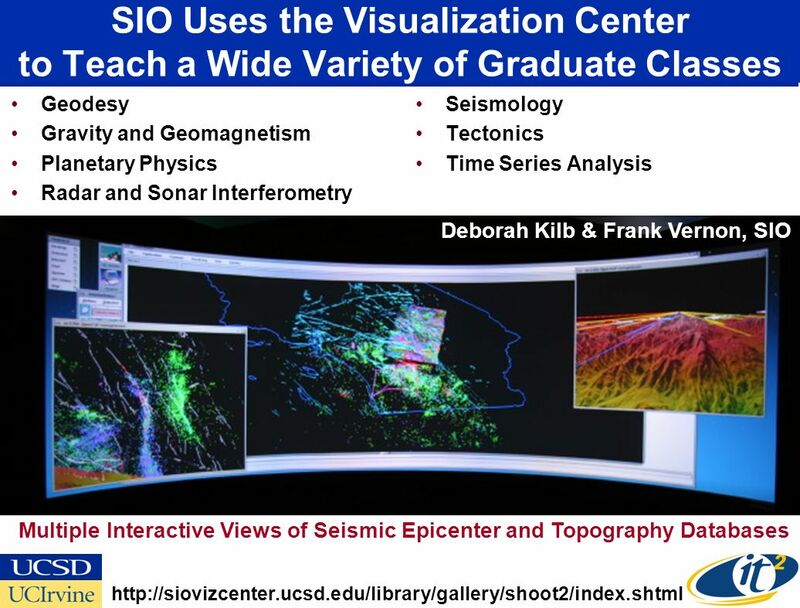 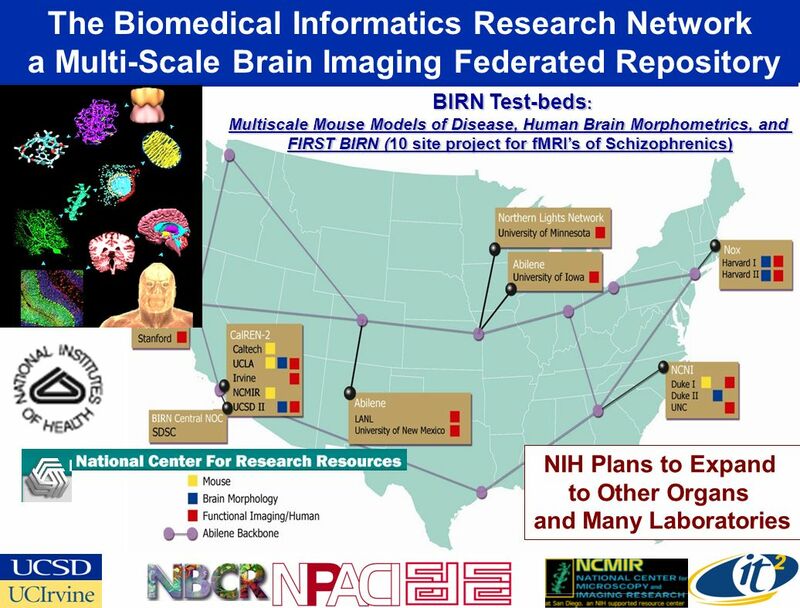 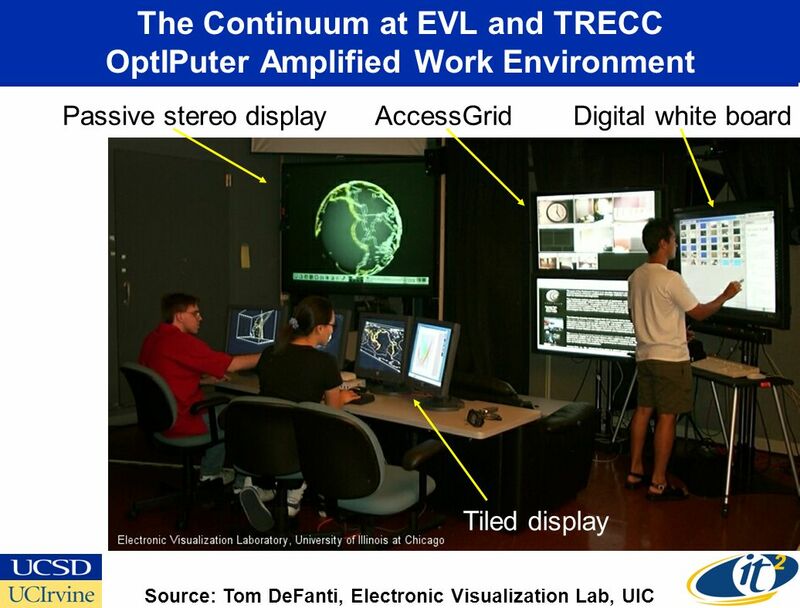 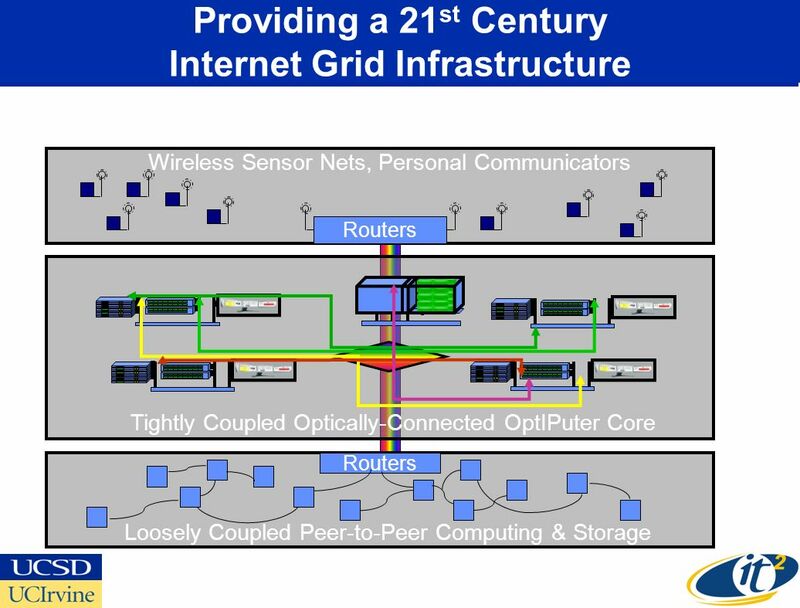 High Performance Collaboration Grid Systems Symposium on Knowledge Environments for Science and Engineering: Past, Present, and Future National Science. 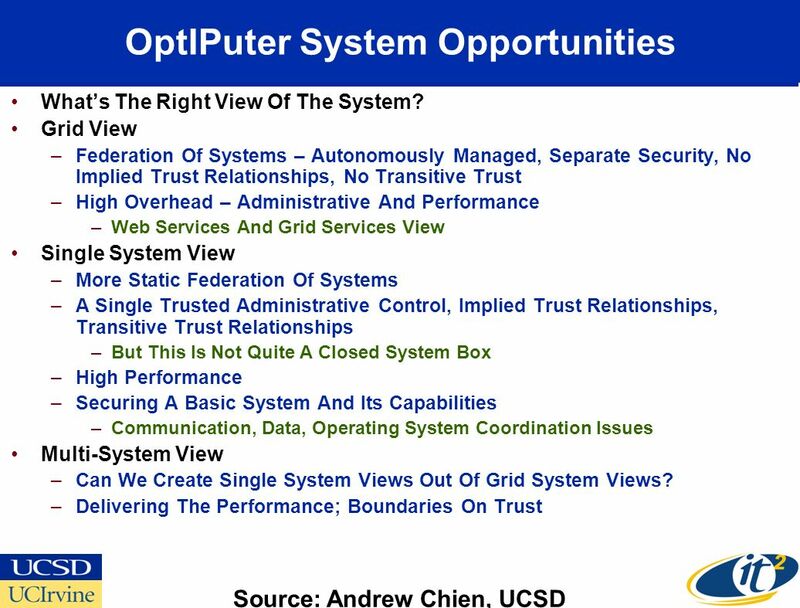 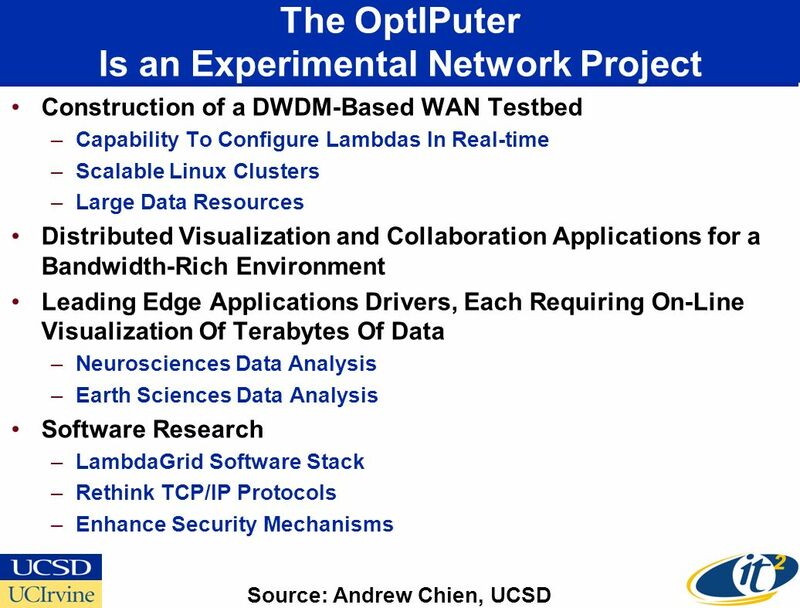 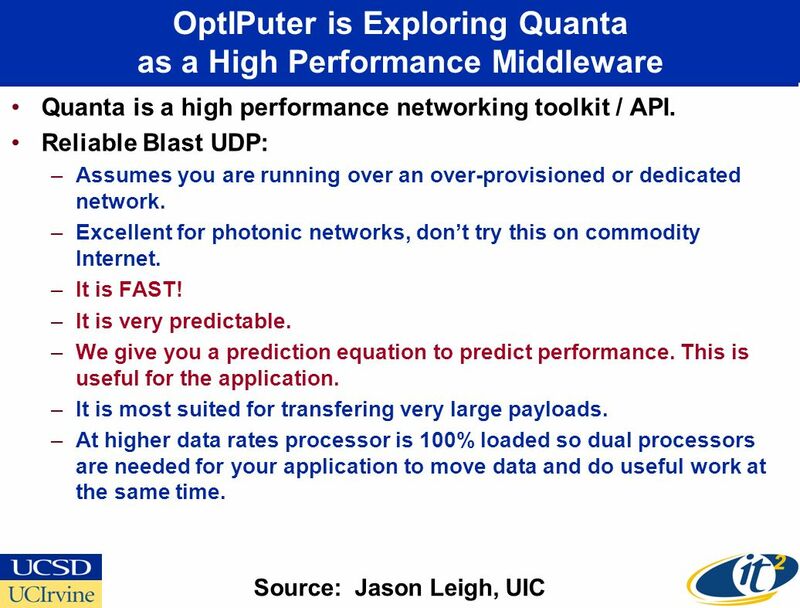 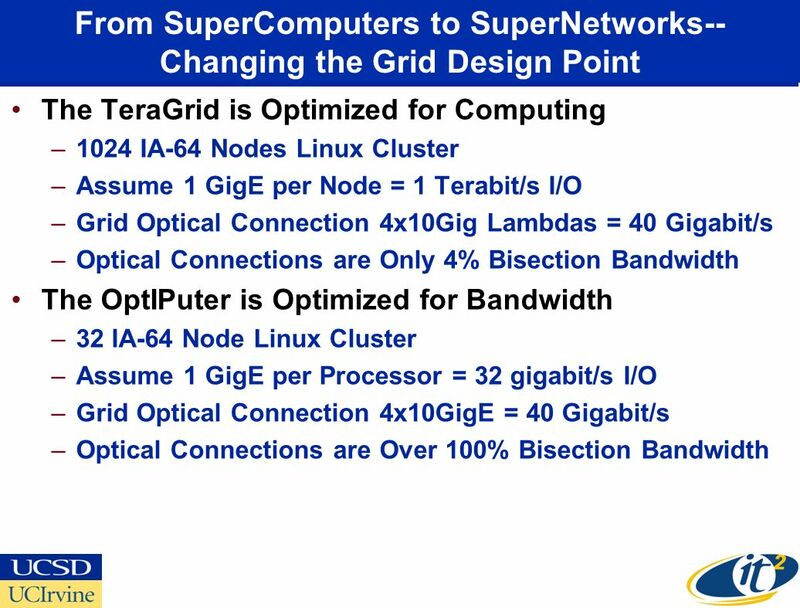 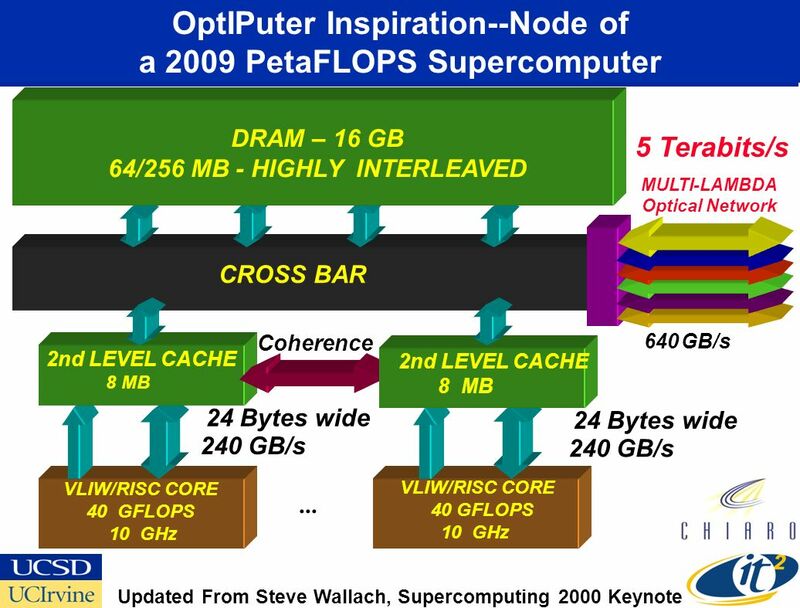 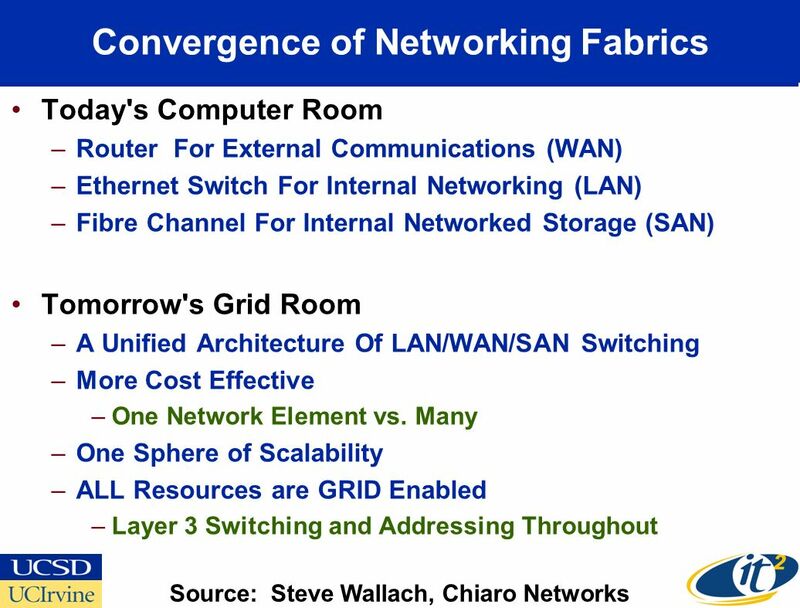 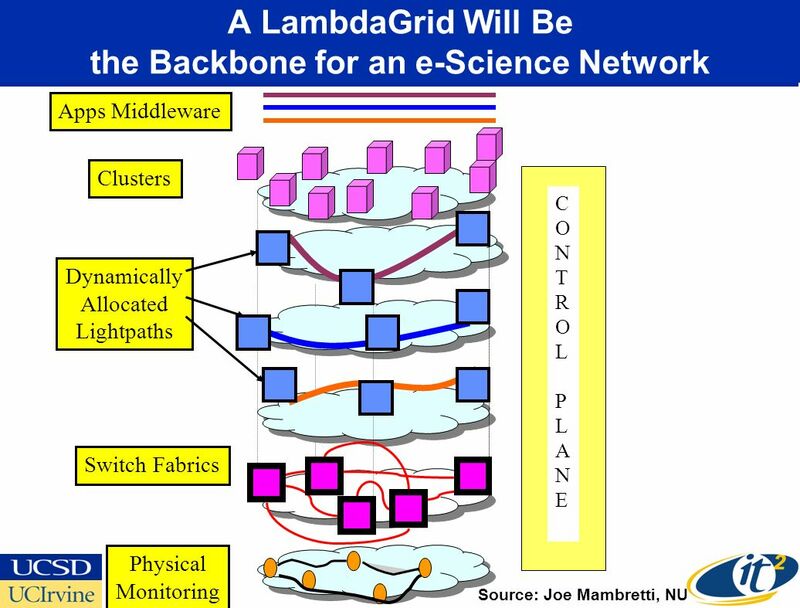 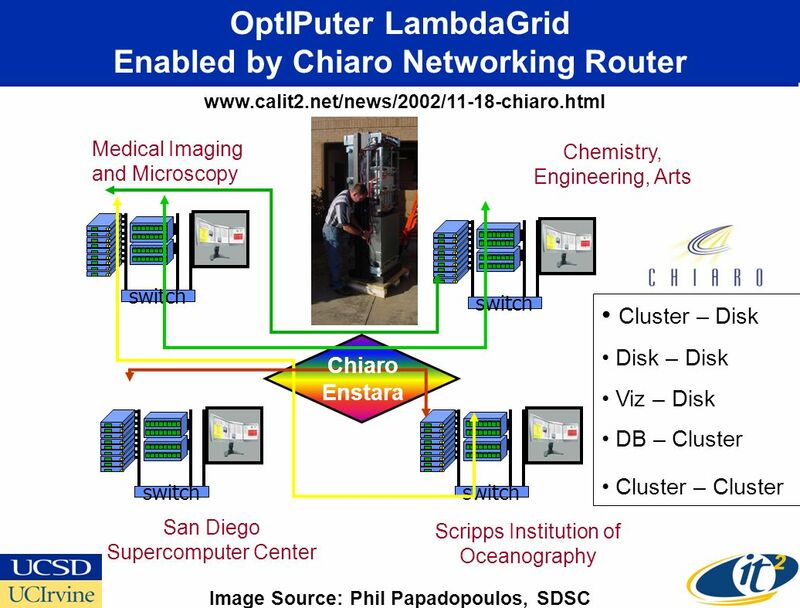 The OptIPuter – From SuperComputers to SuperNetworks Vanguard NextGens Conference Coronado, CA November 19, 2002 Dr. Larry Smarr Director, California Institute. 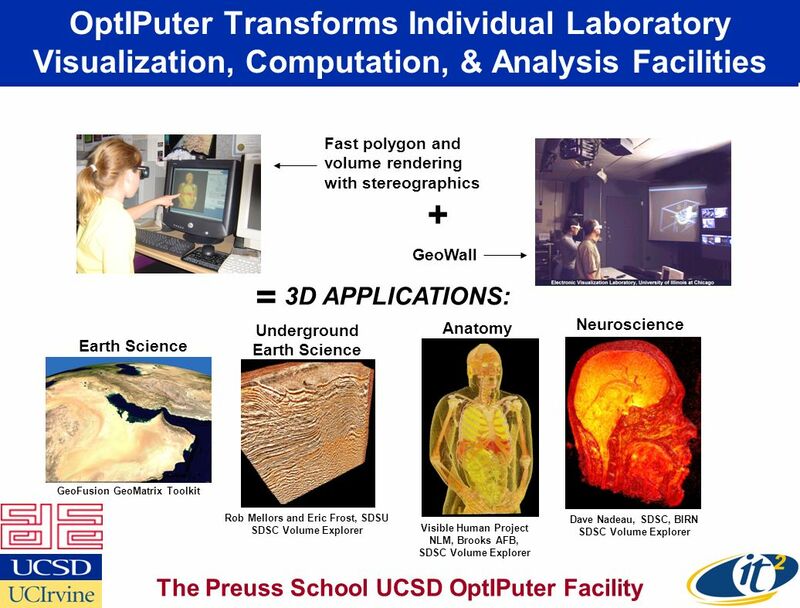 Research & Academic Computing Bradley C. Wheeler Associate Vice President & Dean.